A few years ago, I was walking home from work. It was a warm night and a group of young black boys were crowding a narrow sidewalk. I crossed to the other side, anticipating harassment -- I was not in the mood for any "Yo, ma"s or "'Sup, Shorties" or "Smile"s which I believed they would harangue me with. As I expected, one of the guys called out to me, but what he said was completely unexpected. "Miss, we weren't going to do anything to you," he told me. "I know," I said, seeing my little brother in him at that moment. My brother is a skinny kid (not really a kid anymore) with a ready smile who loves to travel, hates reality shows, and is entirely too loose with his life on social media as far as I'm concerned. But in that instant with the boys on the street, I realized my brother and any of the black men in my life could be pre-judged as a potential harasser or a threat just for standing outside with their friends. I started to think about what it would mean to have people instinctively clutch their bags around you, tense up when elevator doors close, or cross the street when you and your friends are just chilling outside on a hot evening. And I started to understand, in a personal way, the many ways black boys and men are criminalized every single day. I promised myself I would never cross the street again. 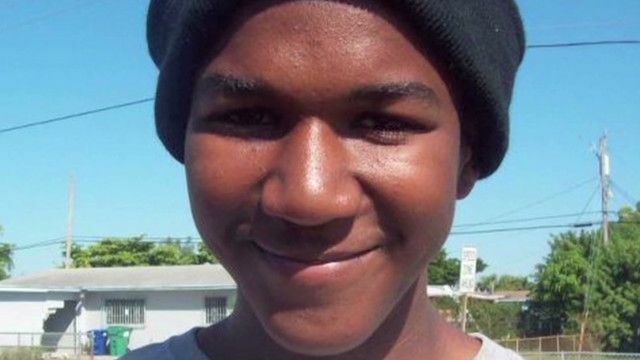 It breaks my heart that 17-year-old Trayvon Martin and so many other young black men are routinely pre-judged to death. I believe George Zimmerman's own pre-judgment of what and who is suspicious led him to kill unarmed Trayvon last February. It's also part of what enabled the officers on the scene to accept Zimmerman's version of events, let him go home without arrest, and ultimately what led a six-woman jury in the resulting trial to acquit Zimmerman this past Saturday. Listening to Juror B37 explain her mindset in acquitting Zimmerman in the murder of an unarmed teen, and particularly what she had to say about the way "they" talk and the way "they" live in reference to Trayvon's friend Rachel Jeantel, whom she admitted feeling sorry for in her subsequent interview with Anderson Cooper, spoke clearly to me of a pre-judgment she didn't even realize she was admitting to. As did her converse empathy with George Zimmerman. The injustice meted in this case is even more depressing to me in light of recent history and the distant past. So many black men and women have been the victims of racist pre-judgment. But as Nelson Mandela turns 95 years old today, I am reminded that that which seems impossible to change can in fact become a thing of the past. The prejudices we all hold don’t have to outlive us. But things don’t change by themselves. We’ve all got a lot of work to do, from patient conversations with people who don't agree with us on this issue to opting not to cross the street.